We've got a database of nearly 200,000 beers, but from time to time entries are made imperfectly. Whether they're missing the brewery or ABV or perhaps there was a typo(even I struggle to spell Deciduous sometimes), but now you can make the permanent tweaks to beers for your sake(and everybody else too! 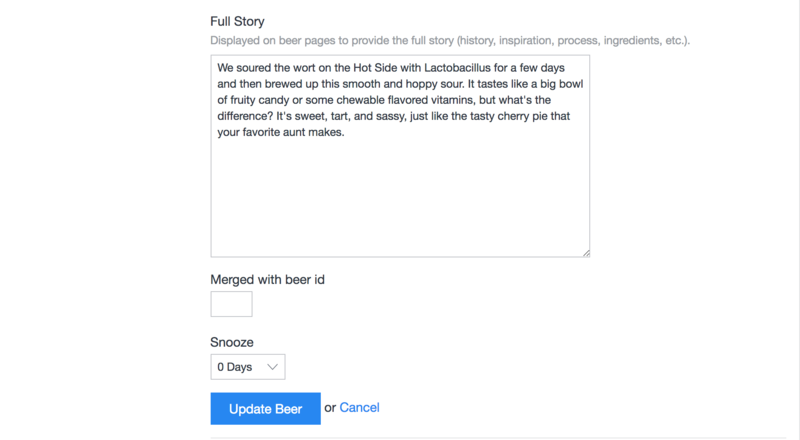 )In order to make edits to beers you want to head to the individual page for a beer like the one pictured below. 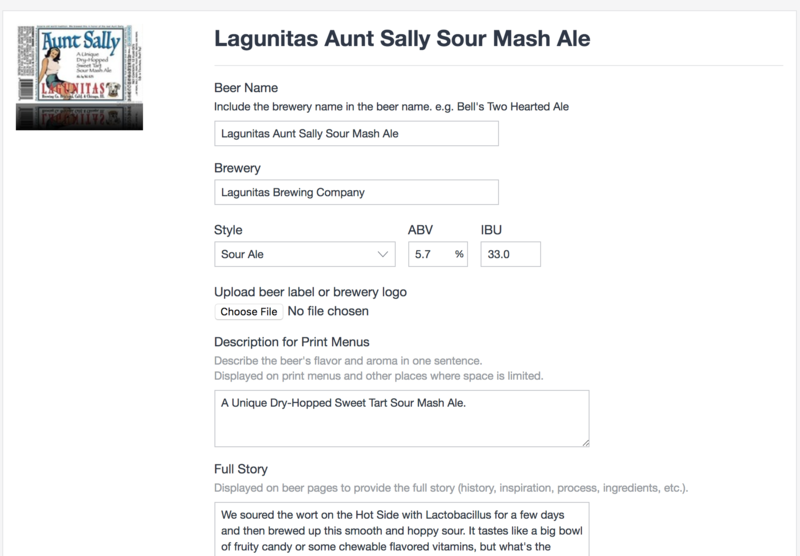 You get there simply by clicking on the name of the beer, whether in a search or on a menu. 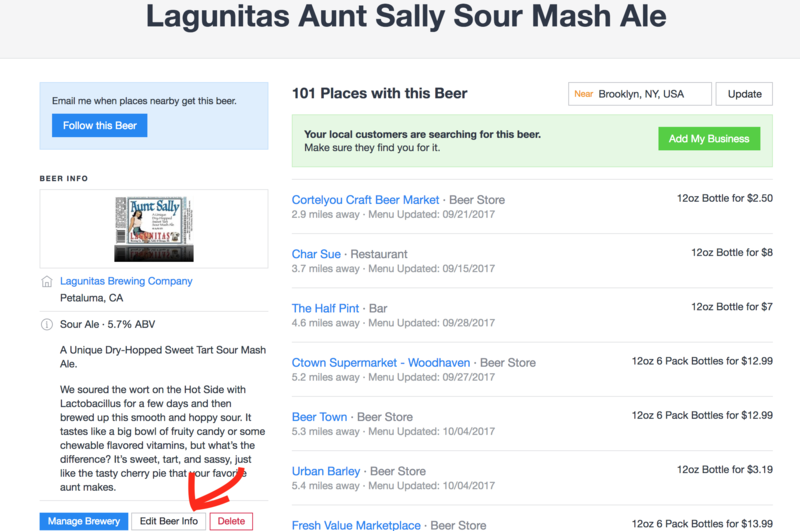 From this page, click the "Edit Beer Info" button and you'll be directed to the page with all the data for the beer. Important Note:The edits you make to this beer will be reflected site-wide. So please use care! From this page you can make tweaks to all the details you need. The box for "Brewery" is predictive, you can pick the brewery as they want to appear-no need for guess work. We have a "Description for Print Menus" and "Full Story" boxes on this page. You'll use "Description for Print Menus" for a shorter description, meant to help a reader understand the taste of the beer. The "Full Story" is meant for telling everything there is to know about the specific beer. They can contain a lot of the same information, don't worry too much if they overlap. Be sure to click the big blue "Update Beer" button to save your work!